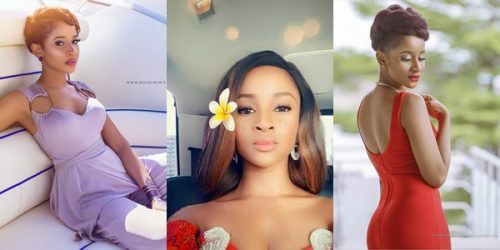 Actress, Adesua Etomi-Wellington has taken to her twitter handle to pen down a message addressed to cyberbullies who hide behind fake account. According to the screen dive, they hide behind a fake account to write the most inhumane things about other people. 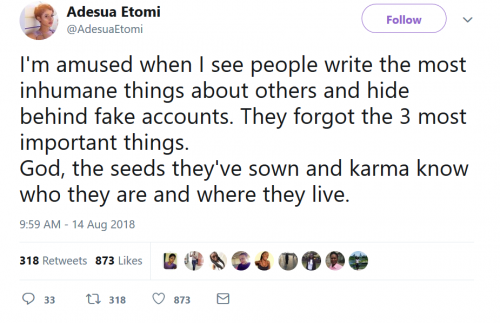 She also remind them of karma which she said knows who they are and where they live.